One could think that the 18-year-old Nozomi is a normalstudent in a normal family somewhere in Japan. One day, when she suffers from neck pain, her mother hires "expert" help in the form of a sect master friend who immediately realizes that only an evil spirit can be behind it. Driven by parental love, a cruel exorcism ritual begins for Nozomi. 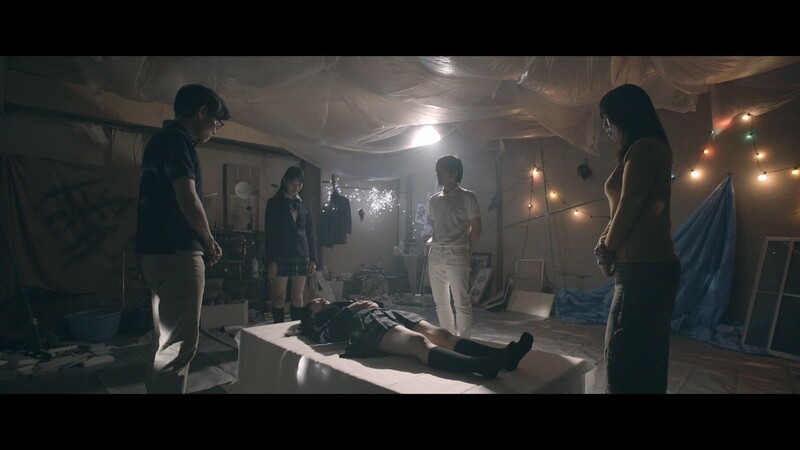 The short film "Sweet Home Inferno" is part of the anthology "Mukuro" ("Corpse") by director Katsumi Sasaki, who already won five awards at the film festival of the Kyoto High School of Fine Arts with his debut work "Tsukusumi". In Sweet Home Inferno, Sasaki exposes the dark side of parental love and transforms the story into grotesque exorcism scenes that go deeply under the skin, especially with impressive effects and the psychedelic-sentimental rock soundtrack. Sweet Home Inferno wurde auf dem 19. JFFH 2018 gezeigt.